A:The Mini Solar Roll stretches out to a full 18 inches when gathering solar energy. When it's time to break camp, it rolls up like sushi into a small pouch. The onboard lithium-ion battery is powerful enough to recharge your phone or camera when you need it, packing a lot of talk time into a very small package. Available late February 2013. 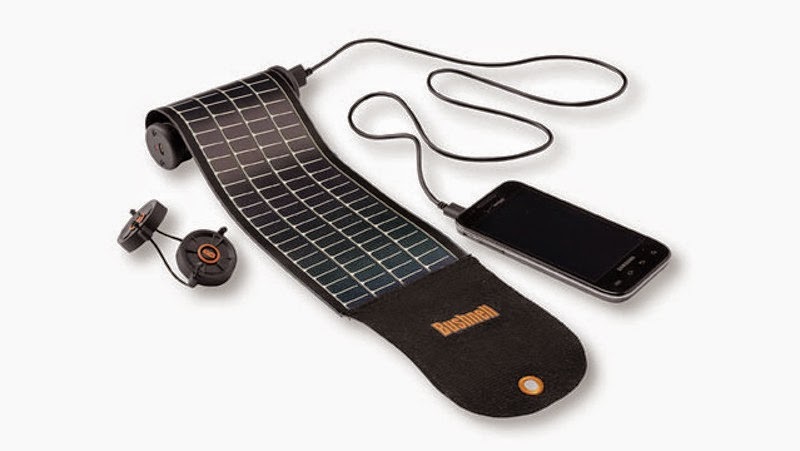 Universal Solar Charger with silicon case and powerful solar panel. 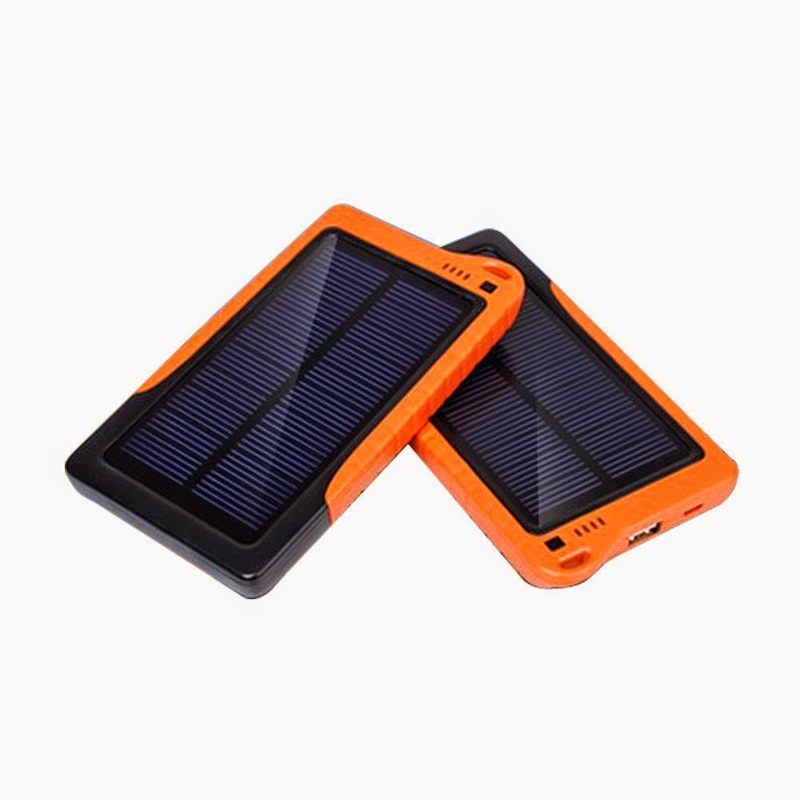 The Yu solar charger has been manufactured of pure silicone and sports a 2,000 mAh battery. It is suitable for various mobile devices, like a Smartphone, GPS and E-book reader. The USB interface of the device ensures a plug and play compatibility with all USB-chargeable devices. This new, trendy silicone solar charger has a powerful 1.5Watt Sunpower™ solar panel, so it is easily rechargeable by using the sun. Apart from using it in the sun, the Yu Charger can also be charged via regular USB or AC adapter. The internal 2,000mAh battery stores the energy collected and can hand it out by connecting a USB device. The unique silicone case makes the Yu charger dust, shock and splash-proof. The USB ports are covered with rubber pads for added protection. The Yu comes fully supplied with a carbine hook for easy carriage or to attach it to your bike, backpack or tent. 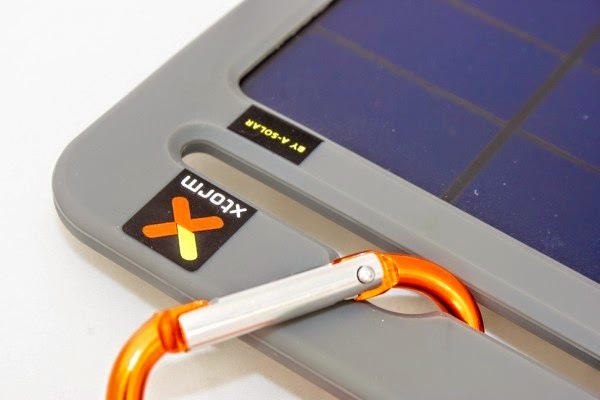 The Yu charger is ideal for holidays, hiking, biking or other outdoor activities.